Clean renewable energy alternatives to oil and coal. 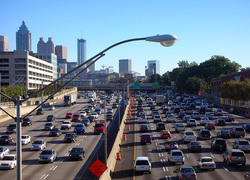 Replacing Fossil fuel used for transport with renewable electric energy. This is a much shortened overview of our fossil fuel use and a very short history of its development. We currently use fossil fuel which falls into three categories to power our lives , we use coal to make electricity and heat for industrial processes, gas is used in a similar way to coal and oil is largely used for transport. Geothermal is a reliable and steady source of energy and is ideal for a steady base load. Hydro is a very flexible power that can be turned on quickly to provide power for peaks in demand and can be at at full power in five minutes. It is also used for base load as it is very reliable apart from an occasional drought. Solar is very reliable and standard rooftop photovoltaic panels on domestic house and offices are economic and can reduce the load on the grid enormously. There are also larger systems that focus the suns heat on a single point to achieve a temperature of around 500C. This heat is used to turn salt into a very hot liquid which is then stored in a tank to make a reservoir of heat. Water is then piped though the hot tank which turns to steam which drives a turbine to make electricity throughout the night. 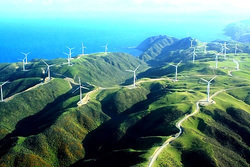 Lastly wind power is very cheap but tends to be a bit variable in output and is used to feed into the system when available. Linking different areas of wind production with the grid can smooth out variables in wind availability. Nuclear energy is not popular in New Zealand, and there is no argument with that, but it fulfils a useful place in many countries. France produces 75% of it electricity from nuclear and it works well and is very clean and reliable but is a very political issue. The secret is to use a balanced mixture of the four to provide a steady source of power and, of equal importance, do not use the power in the first place. A changing and challenging market. Appliances in homes and businesses are becoming increasingly efficient and demand for electricity is dropping in all developed countries, so the electricity generating companies already have a problem of a diminishing market. As people recognise the savings to be made and install PVA solar panels demand from electrical companies is going to fall quickly so there is already an issue with the standard industry business model. Background history of fossil fuel development. 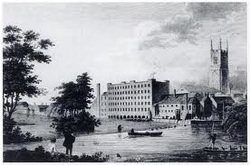 The first 150 years of the Industrial revolution approximately 1720 to 1870 was developed with power from wind and water and burning coal for furnaces and static engines (Watts steam engine 1778). 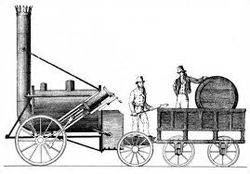 George Stephenson built the first really efficient steam locomotive engine, The Rocket, in 1825 which began the railway transport systems. 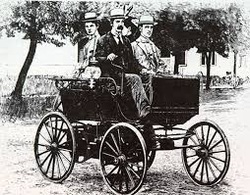 The first internal combustion engines appeared in about 1860 and used gas as a fuel and the first petrol engines arrived at around 1900. The First World War began on horses and finished with tanks. There was a steady development thereafter but the Second World War promoted another spurt in progress and from about 1950 industrialisation spread right round the world and really gained pace. The wide use of coal and oil has brought huge increases in food production, industrialisation and standards of living there is no question about that. There have been big issues with pollution, primarily from coal, in the industrial areas but the increasing use of gas has helped clean the air. The first big indicator of trouble came when Charles Keeling started measuring CO2 in the atmosphere in 1958 and within a few years determined that there was a steady increase. His first measurements showed 330 Parts per million compared with a pre-industrial revolution level of 280 ppm and a steady increase has been measured until today when we going past 405 PPM. 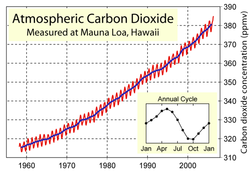 There is an estimated time lag of about forty years between the level of CO2 in the atmosphere and the rise in temperature, due to 90% of the heat going into the ocean. The temperature has raised 0.8C so far and, as we are only just having the results of 1970, we clearly have a long way to go. Food production will be under severe threat when the temperature increases 2 to 3C which is why we need to make big changes and stop burning fossil fuel. 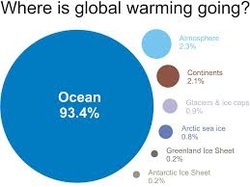 There are lots of reports to support this but I recommend The World Bank Turn Down the Heat. Alternatives to using fossil fuels. 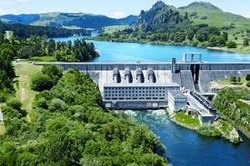 Electrical power for the nation is changing. Production of electricity from natural sources is not new and its wider use is a governmental policy decision as the technology is proven and readily available. The problem for the generating companies seems to be the speed of change and the power companies are unable to formulate a business model to secure a future in a changing world. We will always need a grid for the distribution of electrical power but perhaps slightly different to today because natural energy can be produced locally in smaller plants. For those who do not have solar I will explain how a solar panel budget works in a house. In a typical house electricity is drawn from the grid in the early morning for preparing breakfast. 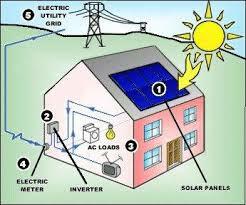 Then as the sun rises higher in the sky the house is able to power itself and export surplus power to the grid. In the evening when the sun goes down the evening meal is cooked and power once again is drawn from the grid. A householder is therefore a consuming customer and a power generating supplier. In a balanced system the householder would generate more power than he consumes and the revenue from his surplus production helps pay for the upkeep of the grid. What does the power company get out of this? After all they had a customer from which they took $2000 in income and now they get nothing. On the positive side they buy electricity from the customer during the day for $0.10 and sell it nearby for $0.20 with no investment on their part. Not good, but it is part of the new world and it’s not going to go away. The domestic customer usage is diminishing as houses become more efficient with more efficient appliances, insulation and double glazing and the whole concept of a ‘Passive house’ gains popularity. This also applies to offices and other business premises. The power companies are therefore in a diminishing market and are struggling with turnover and profitability world-wide. 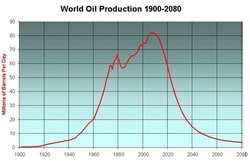 The world passed peak oil some years ago although we have been compensating by fracking for oil and gas and processing shale sands oil. Fracking is short lived and shale is both expensive and dirty and both use lots of water which is in short supply. The toxic combinations of rising production costs, the rapid decline rates of the wells, diminishing prospects for drilling new wells, and a drilling program so out of control that it caused a glut and destroyed profitability, have finally taken their toll." Oil is a fantastic, high energy, portable fuel and is relatively cheap. A litre of oil is roughly the same price as a litre of Coca Cola and the oil will carry four people and the dog and luggage ten to twenty kilometres. Nobody could do that with a litre of Coca Cola. As oil becomes a diminishing resource we will have to pay a price more in line with its benefits and so it would be prudent to have an alternative. Most countries import oil and yet have natural energy resources which are underdeveloped. It would therefore make good economic sense to make use of the abundant renewable natural energy and reduce the dependence on oil imports, reduce the import bill and improve the balance of payments. Changing even half of the transport system to electricity is a massive undertaking and would take at least twenty years, so it is best to start with easy targets. Changing goods and passenger transport from oil powered trucks to an electrified rail system would be a good start. Changes of this type follow a similar funding pattern to putting solar panels on the roof. There is an upfront cost that is paid for by not having to pay for fuel in the future and a lifetime of very low running costs. Here is a link to a new electric truck. Electrifying the railways would switch its power source to domestic renewable electricity, which we have in abundance, and it would be funded from its lower stable price and by not having a high oil import bill. The benefit for the country would be a cleaner world, it would help the country meet its CO2 emissions targets, insulate ourselves from a volatile oil price and improve the balance of payments for the country. There could also be a case for incorporating the Emissions Trading Scheme carbon budget into the equation. When talking about cars it can become a very emotive subject as the modern car is a fantastic piece of engineering which incorporates a great deal of comfort, pleasure and excitement. We have to differentiate between driving and the pleasure it gives and straight forward transport to a destination, like going to work. It would be nice to drive to work every day in a modern saloon car but the reality is that millions of people go to work on trains and buses and millions of people in big cities do not even own a car because public transport is efficient and cars more of a liability. Europe believes that CO2 in the atmosphere is a threat to civilisation and does not have the large resources of oil and coal that America has and already has made several initiatives to save fuel. European manufactured cars are extremely economical on fuel and small lightweight cars with fuel efficient engines which give figures of around 90 MPG, 40 Km per Lt, 2.5Lts per 100 Km. For an electric car to compete with a car with a petrol engine on a long journey is a challenge, but 65% of all car trips are under 10 Kilometres and so this is clearly an area where an electric car can perform well. Many families have two cars and typically one would be a large family car and the second car would be an economical smaller car to take children to school, go to work in and do the shopping. It is this market that is the easiest to change and here again there is an upfront cost of buying an electric car but from then on there are very small or no fuel costs. Electric cars do not need engine servicing and neither do they need a dealer network to the same extent as petrol cars. Overall they are much cheaper to run. 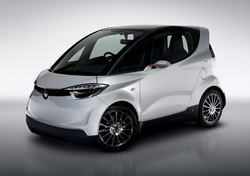 An interesting concept is the Gordon Murray Designs iStream http://www.istreamtechnology.co.uk/1/iSTREAM.html which is a car being built by Yamaha. The Gordon Murray original concept car is the T25 and T27 from which the Yamaha car was produced. http://www.gordonmurraydesign.com/previous/index.php which showed the T27 as a small electric car. Gordon Murray promotes the idea of car production with relatively low start up investment and smaller production volumes which, unlike conventional car production, could be suitable for New Zealand. Converting our transport to electricity. Whichever route is taken, the concept of investing in electric transport would dramatically transform the financial position of the generating companies, would insure the economy against a volatile oil price, reduce our import bill to the benefit of our balance of payments, give us a cleaner world and enable the country to meet its carbon emissions commitments.